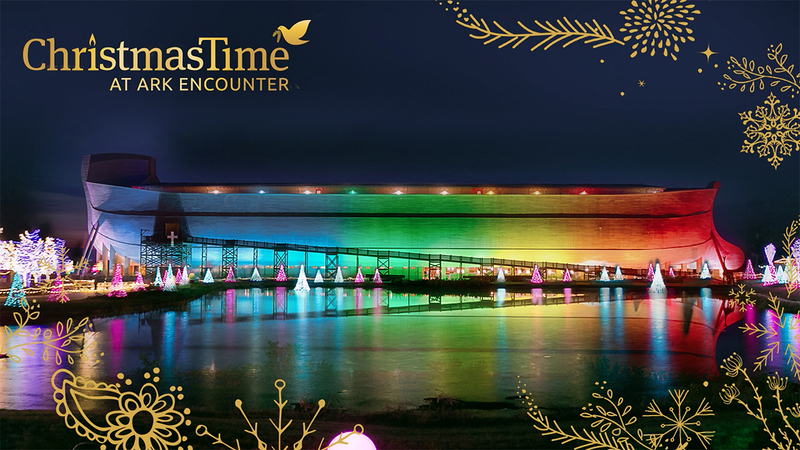 ChristmasTime at the Ark Encounter Starts Friday! Are you looking for a special way for your family to kick off the Christmas season while you are together for Thanksgiving? If so, we have just the event for you! ChristmasTime at the Ark Encounter begins this Friday and runs through December 30, 2018 (closed Christmas Eve and Christmas Day). Bring the family out for an unforgettable evening of festive lights, skating, fair trade shopping, and so much more. 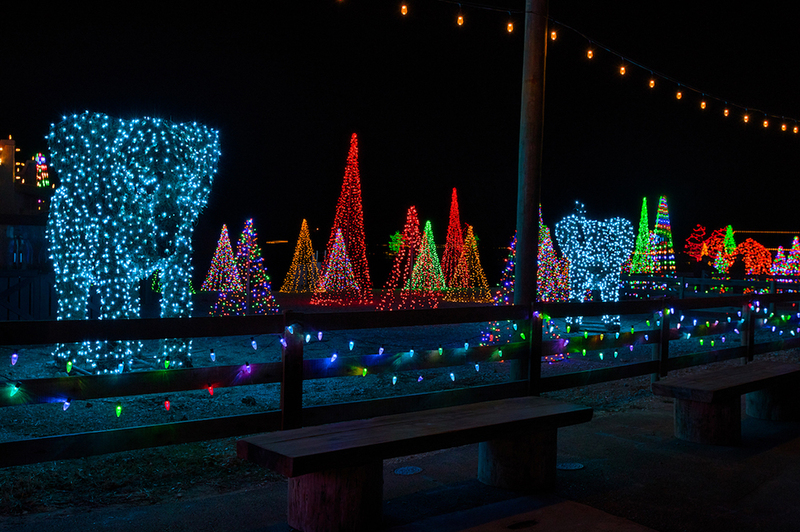 The view during ChristmasTime is remarkably photogenic as you take in our life-size Noah's Ark, the lake, Ararat Ridge Zoo, and the Rainbow Garden illuminated in an all-new, stunning sea of rainbow-colored lights. Be sure to take advantage of the opportunity to take a spin on the Glice® rink right in front of the Ark for just $5 per person (includes skate rental). 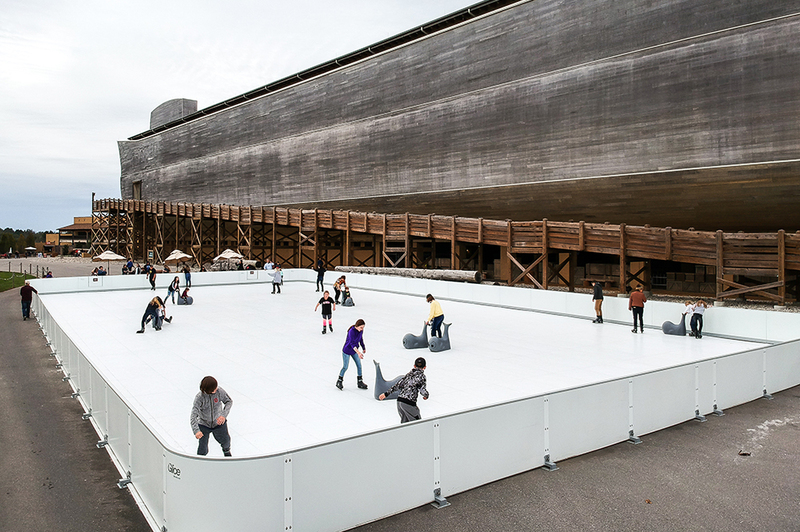 Our state-of-the-art Glice® rink features skating on synthetic ice that acts just like real ice, using special skates provided by Ark Encounter. Temperature makes no difference, so don’t miss this fun seasonal experience for the whole family! Looking for that perfect, one-of-a-kind gift? 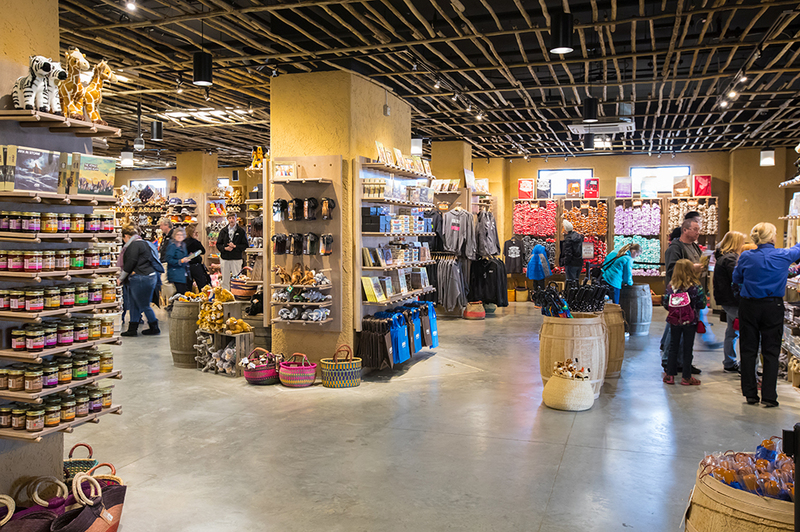 Stop by our extensive fair trade market and the Ark Encounter gift shop for a selection of handmade gifts from all over the world as well as apparel, stuffed animals, books, DVDs, toys, and much more. We have something for everyone on your list! Take advantage of our holiday pricing after 5 p.m. and save! This deal includes a large buffet dinner at Emzara’s Buffet and gives you admission into the Ark and its three floors of exhibits. Find out more on our event page. 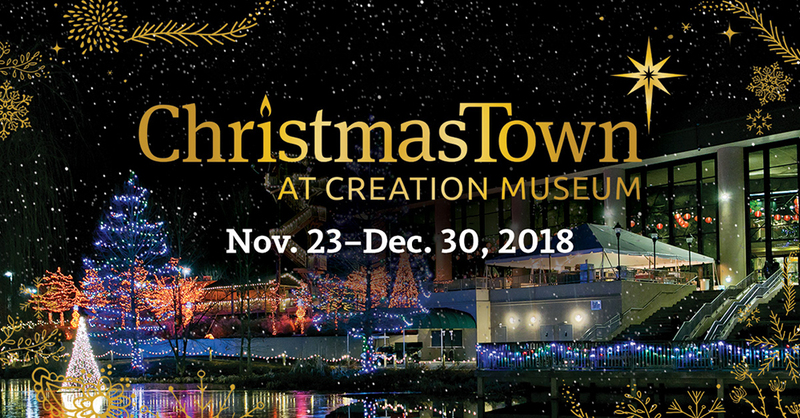 Continue celebrating this special time of the year with a trip to our sister attraction for ChristmasTown at the Creation Museum! Catch a glimpse of the amazing events that surrounded our Savior’s birth with our live nativity. After that, stay toasty with a cup of hot chocolate as you walk through our botanical gardens immersed in breathtaking light displays. Start making your plans today to bring the whole family out for an unforgettable holiday evening! Be sure to share your favorite ChristmasTime at the Ark photos with us on Facebook, Instagram, and Twitter using #arkencounter, and you might see your pictures featured in a future blog. 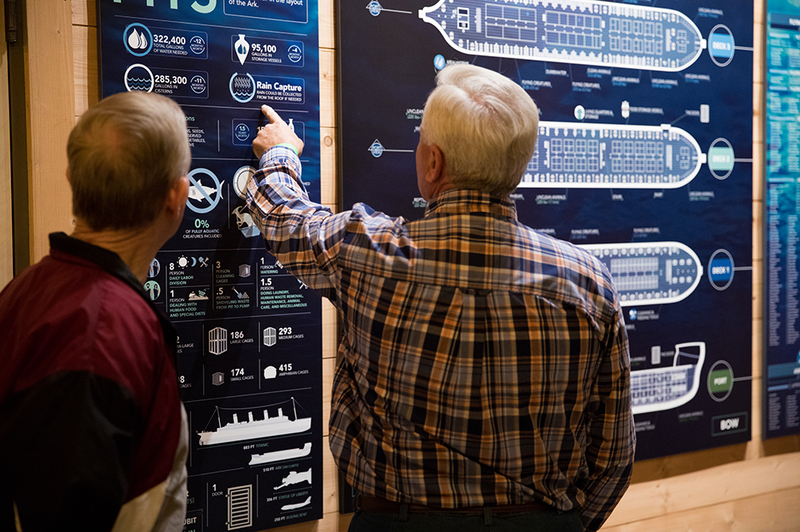 Previous Article 5 Christmas Ideas with a Purpose Next Article We’re Hiring at the Ark Encounter!